This is Civil Defense was created by the Federal Civil Defense Administration (FCDA) and was sponsored by Civil Defense recruiting. 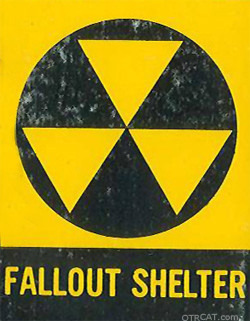 President Harry Truman created The Federal Civil Defense Administration (FCDA) to prepare and educate the public about the threat of a nuclear attack as well as natural disasters. 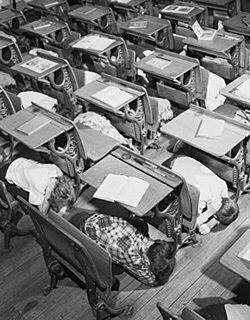 The FCDA organized air raid drills, built fallout shelters, created films (such as the now infamousDuck and Cover film),and produced radio shows. It also enlisted citizens to join the Civil Defense to protect their families and communities. 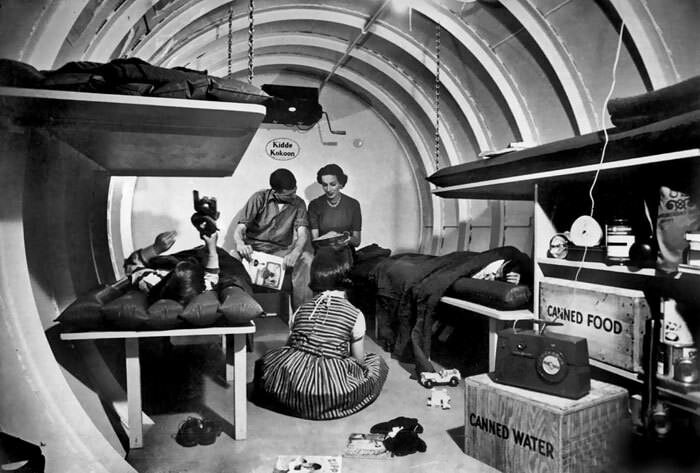 This is Civil Defensewas broadcast during the Red Scare which left Americans feeling vulnerable to a Soviet Attack, but also covered natural and national disasters such as flooding, tornados, and food shortages. The show is entertaining and informative, teaching the public through example how to act in the case of a disaster. Even the "Conelrad" radio emergency communication system is explained. I indulged myself recently by ordering an Otr Cat MP3 of my birth year, an anthology of what was on the radio those six months in Georgia and then -- whisk! -- I was off to Heidelberg, Germany to fight the Cold War with my dad and my family.